I am providing a link below to the full version of the Polygraph Pro Suite Quick Start document. This document will walk an already experienced examiner through the basics of recording their charts and then reviewing them within our software. It’s a great starting point for examiners who are transitioning from other instrumentation. 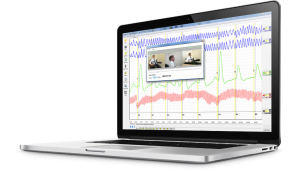 This Quick Start guide will walk you through running a basic polygraph test. It includes running the software, creating a custom question set and recording a stim test, as well as three charts from a ZCT exam. These instructions will also show you how to review and print your charts post exam.